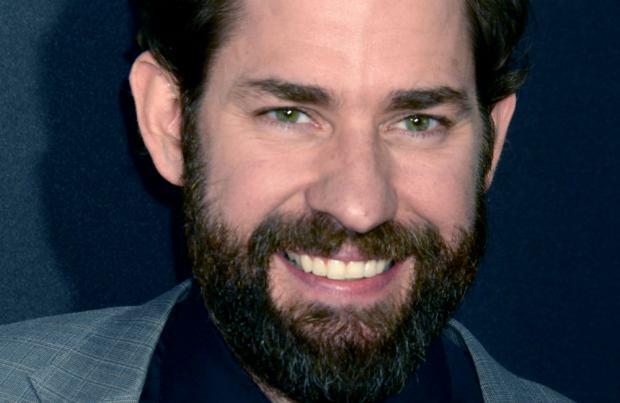 John Krasinski was "mind-tricked" into writing a sequel to 'A Quiet Place'. The 39-year-old actor directed and starred in the thriller flick, which also co-stars his wife Emily Blunt and sees the pair with their two children, Marcus (Noah) and Regan (Millicent) in a post-apocalyptic world that has been taken over by blind monsters with an acute sense of hearing. However Krasinksi has revealed he never intended on doing a sequel and was duped into writing his idea for the next movie. Speaking to Deadline, he said: "I'll be honest with you: I really didn't want to do the sequel. It was never built to launch sequels, which we all knew, and the studio knew too. But also, I'm a realist. "I know that when you have a success like this, everyone wants to make another one. I told them to go find another filmmaker and writer, and they said, 'But don't you have an idea?' I said, 'Yeah, I have a tiny idea,' so they said, 'OK, while we're talking to other people, keep thinking about it'. They basically mind-tricked me into wanting to write it. "But the idea for it is pretty simple. I'm writing now--I don't have it fleshed out--but the thought that occurred to me, that really excited me about it, was that most sequels are about the return of a hero or a villain. You take this character that people loved once and you bring them back, and you have to create a new world around them. "We have the exact opposite setup. We have the world, and you can drop whoever you want into that world and everyone feels connected to it. The reason I decided to go back, in the end, was this world is so rich, and it's so much fun to explore." John – who shares Hazel, four and Violet, two, with Blunt – also confessed that the film was a "perfect metaphor for parenthood" and was like writing a "love letter" for his kids. Opening up about how being a father-of-two linked with his performance, John added: "I mean, I think it's the reason why I did the movie. I've talked about it before, but I couldn't watch a horror movie, let alone make one. The thing with this was the truly overwhelming sense of clarity that hit me, that the movie would be the perfect metaphor for parenthood. "Yes, it would be scary. Yes, it would have tension and all those things. But it would also be like writing a love letter for my kids. In every word I wrote, or every shot I directed, and all through the performance."